Xi Engineering Consultants is a specialist engineering consultancy firm that enjoys solving complex engineering problems with particular expertise in the fields of noise and vibration. Our team specializes in the complex modeling, measurement, and analysis of dynamic systems. We are not limited in our approach to problem solving and actively engage our expertise over a wide range of engineering disciplines and market sectors, with clients in Europe, North America, Asia, and Africa. Our work is often presented at international conferences and published in peer-reviewed articles. Some of our achievements include winning the Engineering Excellence Award at the Scottish Green Energy Awards 2014 and an award from the Edinburgh Chamber of Commerce Business Awards. Some of our work on acoustics has also been published in NASA Tech Briefs. In this example, our team calibrated the forced response frequency positions of real accelerometer data to verify modeled system dynamics for a tidal turbine. We pride ourselves on delivering economic benefits to our clients and have gained a powerful reputation for our innovative and collaborative approach. Our team features a strong multidisciplinary group of specialists, allowing us to work with a multitude of industries, from renewable energy and construction to marine and defense. With applied ingenuity, we go the extra mile and assist our clients from the idea-generation stage to detailed implementation. Headphone Speaker Optimization with Warwick Audio Technologies Ltd.
Models used to optimize a headphone and speaker design. Using the COMSOL Multiphysics® software, we helped Warwick Audio Technologies Ltd. optimize their headphone geometry and speaker design. To do so, we modeled the relationship between the MEMS components and the speaker's acoustic response as well as their interaction with the surrounding headphone geometry. Our team also developed fully coupled interactive COMSOL® apps and made them available to Warwick Audio using the COMSOL Server™ product. This allowed them to virtually test proposed design modifications without the cost of manufacturing prototypes. In this project, we used the Structural Mechanics, MEMS, and Acoustics modules. 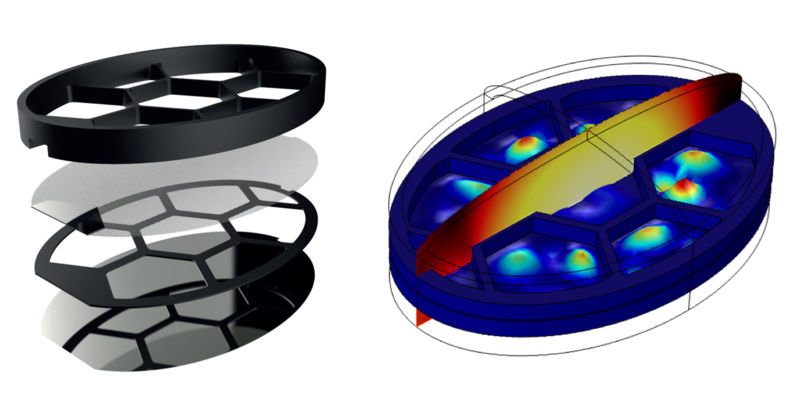 ― Martin Roberts, CEO of Warwick Audio Technologies, Ltd.
With the Acoustics Module, our team produced a model to analyze a new acoustic chamber design in one of our client's products. We identified the acoustic resonances within the chamber by modeling the pressure acoustics and thermoviscous effects. This analysis helped us verify that the design was of a high standard and ensured that the acoustic chamber did not interfere with the microphone's operation. Models used for analyzing an acoustic microphone chamber. 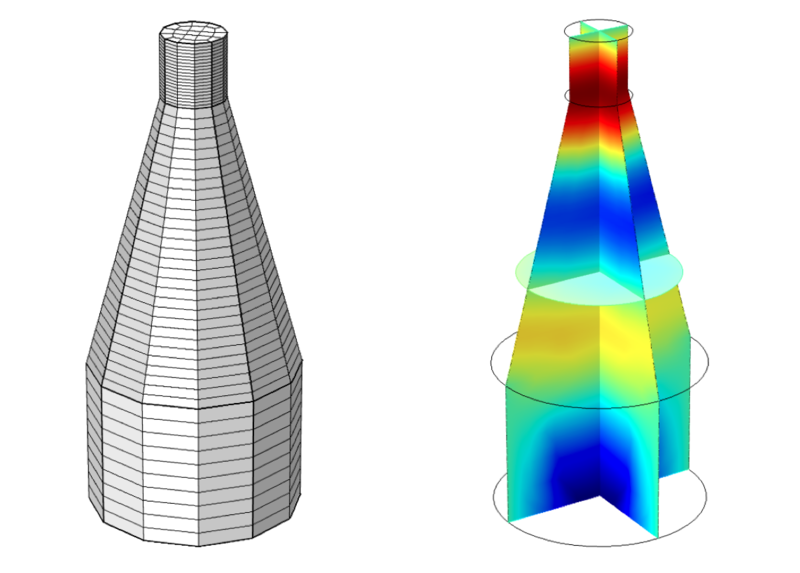 Models for analyzing a building's structural dynamic response. Using the Structural Mechanics Module and beam and shell elements, our team developed a model based on engineering drawings to look at a building's dynamic response. We used our model to investigate the vibration characteristics of the building and determine the best location to place a lab with sensitive equipment. 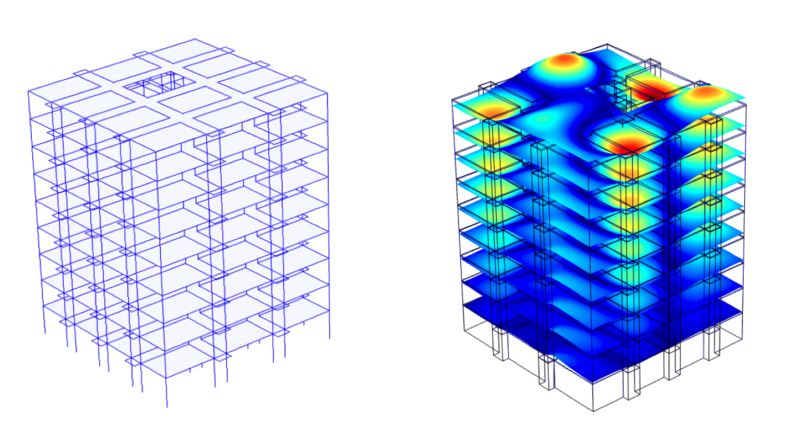 The analysis accounted for the frequency response from people moving within the building, external wind loading, and even a simulation of a fire evacuation scenario. "I had a very good experience working with Xi. Donald in particular was excellent at briefing the client. He gave them a clear explanation which was very useful, it’s nice to see a company that takes the time to explain what they’re doing rather than just getting on with it…fantastic communicator. The technical report produced at the end was invaluable to us and it was delivered on time and followed up really well. I can’t really think of any improvements to be made, WYG will have some follow-up work and projects to do and we will not hesitate to bring Xi on board." 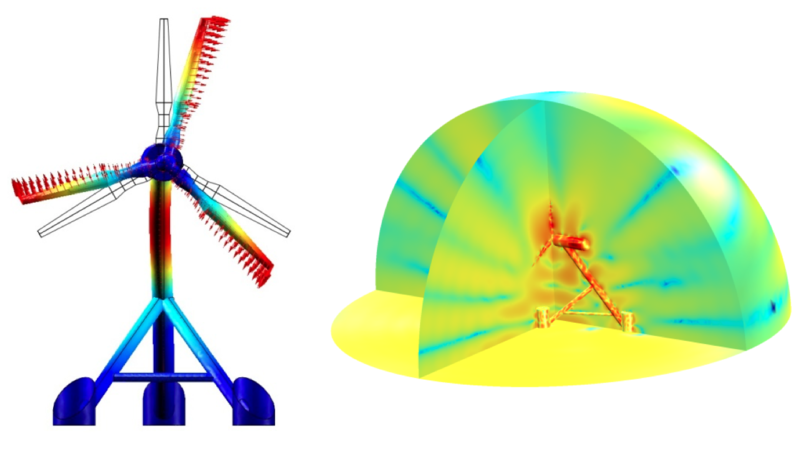 We developed a wind turbine model constrained with empirical data by using LiveLink™ for MATLAB®. The Structural Mechanics Module enabled us to determine the surface acceleration of the turbine blades, tower, and nacelle during operation. With the Acoustics Module, we used this data as an input for an acoustic model that determined the tonal noise emissions and associated sound pressure level from the wind turbine. 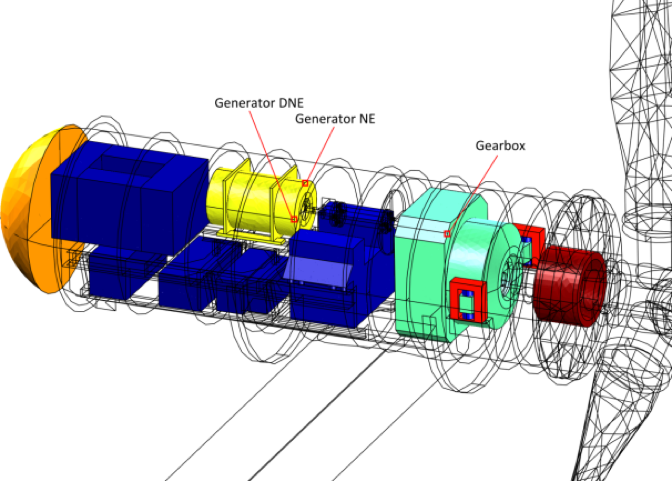 Through this, we created a model to design and optimize the installation of broadband dampers, which reduce the tonal noise emissions from a turbine in a cost-effective manner. When working alongside ANDRITZ HYDRO Hammerfest, we helped to develop their HS1000 and 1.5 MW tidal turbines and make the turbine fit for use in marine environments. For our studies, we used the Structural Mechanics and Acoustics modules. To determine the operating vibration levels and frequency response of the surrounding structure, our team analyzed the system's drivetrain. With modeling, we calculated cycle stresses and fatigue life to design out potential failure sites. We also included the fluid-structure interaction and effect of water on reducing the frequency of structural harmonics. We used these models to determine the underwater acoustic emission of the tidal turbine and assess the environmental impact on marine species. With the modeled dynamics, we can design and optimize a condition monitoring system to give live readings on a turbine's operating conditions. "The development of our HS1000 device is a challenging and complex engineering task. We have worked with experts in various fields in order to ensure that the very best technical input culminates in a reliable, robust, and highly advanced tidal turbine. We have greatly valued the engineering expertise provided by Xi and look forward to their continued support at this exciting stage of the development." 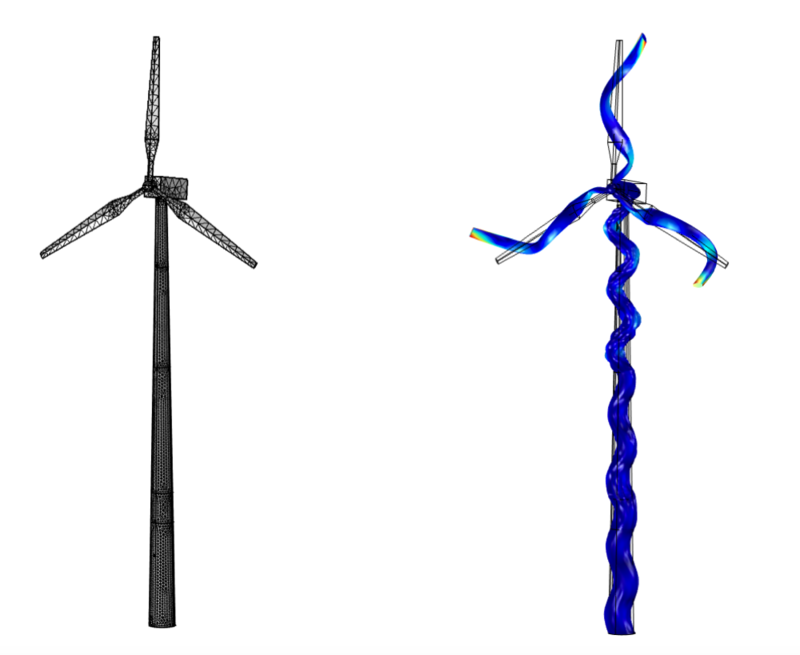 Simulation results for a wind turbine and its underwater acoustic emission. If you have any questions about the services we offer or if you would like to have a chat with one of our engineers, then you can send us an email or give us a call. We are always happy to help.